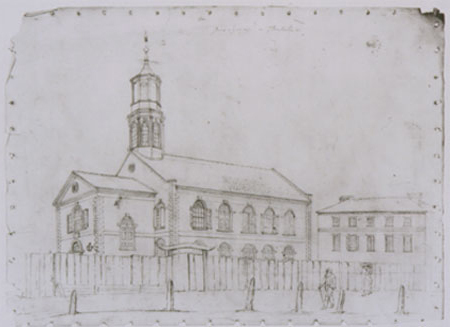 This drawing is the earliest known image of Kahal Kadosh Beth Elohim’s first synagogue, located on Hasell Street in Charleston. 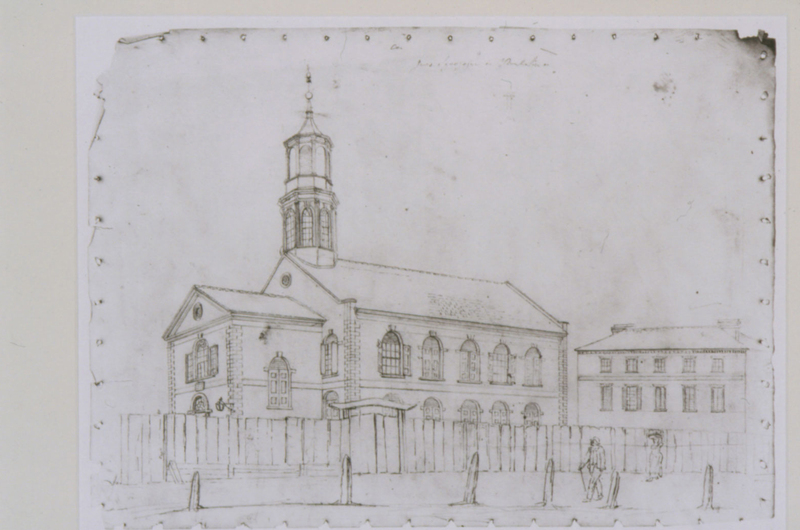 Dated about 1812, John Rubens Smith’s sketch shows that, contrary to popular belief, the wrought-iron fence on the street side of the synagogue was not built in 1794, at the same time as the sanctuary. New research pinpoints 1819 as the year the fence was constructed. Though the synagogue was destroyed in the great fire of 1838 and replaced by a Greek Revival temple, the smaller structure behind the sanctuary survived the blaze and still stands today.